Syneron asked DDSTUDIO to help them refresh their flagship model, the VelaShape II. 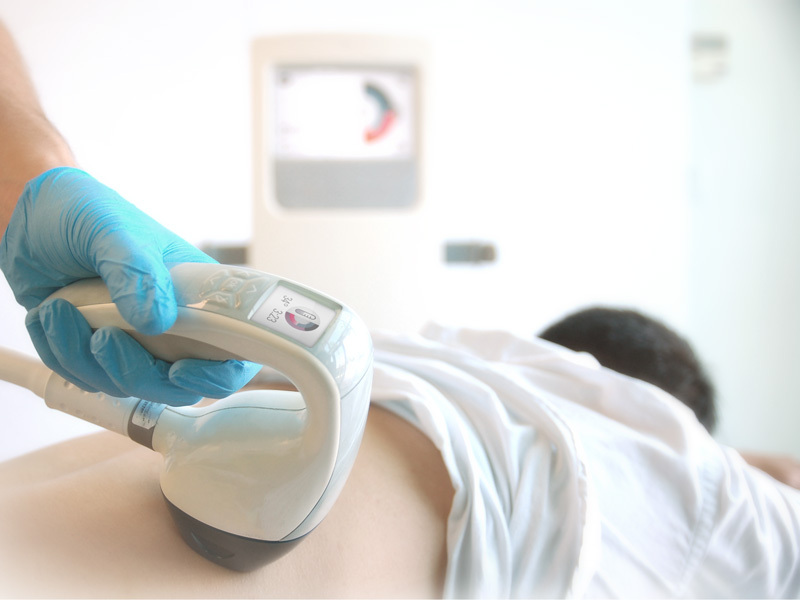 Although it led the industry as the only FDA approved body contouring system of its kind, aesthetic and usability issues were preventing Syneron from achieving the kind of impact they desired. 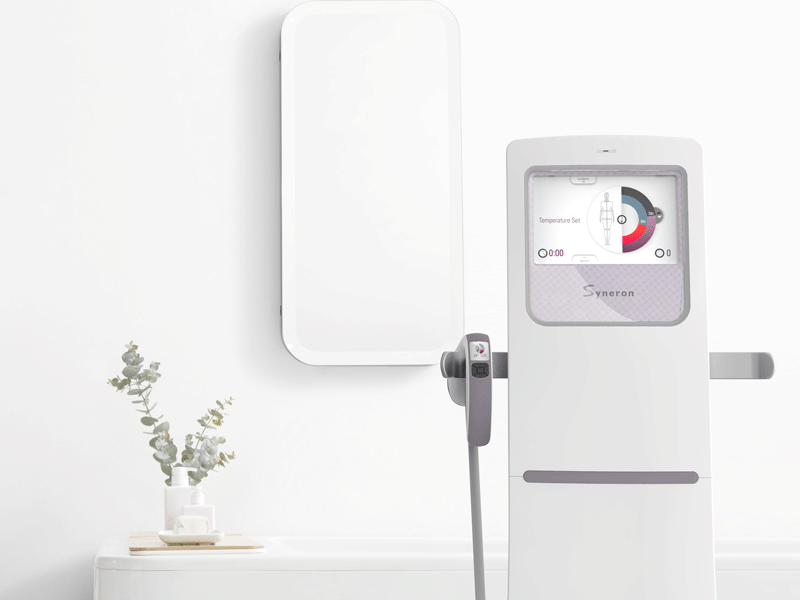 Syneron and the DDSTUDIO experience design team worked together to reimagine the Velashape noninvasive body contouring system to fit more elegantly into the medical spa environment and to be more easily utilised by the operator during the treatment. 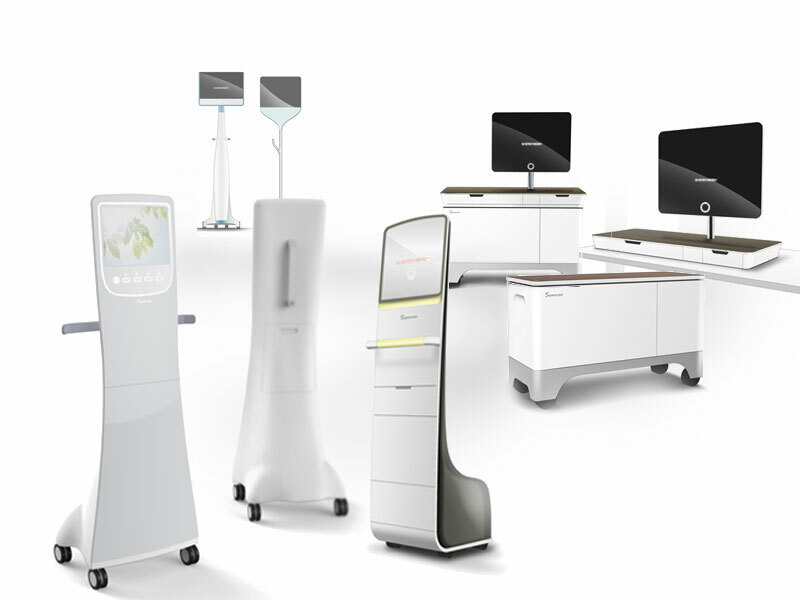 Reimagining Syneron’s VelaShape required us to use our experience design process to guide the project through industrial design and UI development. We began by creating a visual brand language that complemented the atmosphere of a wellness center or spa. We then conducted user surveys, and found that clinicians using the Velashape system need precise control of the hand piece over a prolonged period of time, and the original VelaShape applicator became uncomfortable with extended use. We completely redesigned the hand piece to increase ergonomic efficiency, with rubberized grips and larger handles for increased user comfort during longer treatments, and more precise control. A multi-grip design allows each hand piece to be held in multiple positions depending on the treatment being provided. 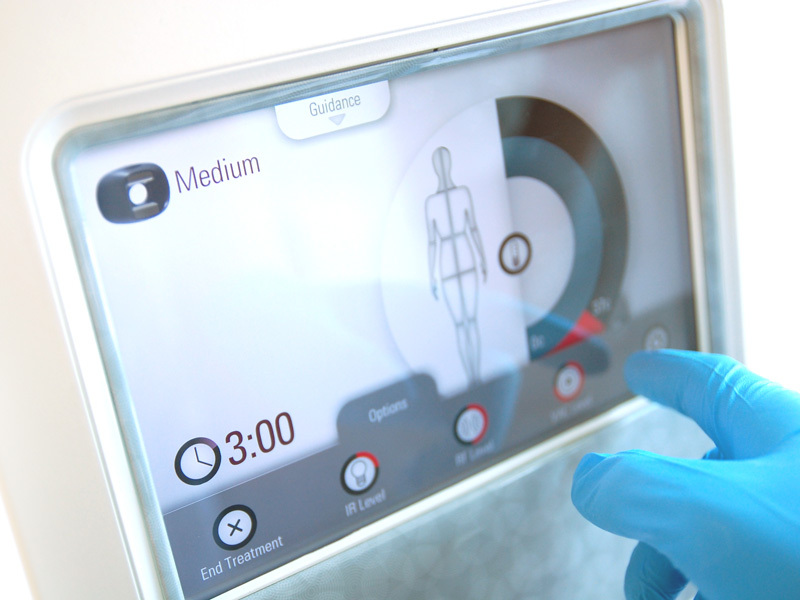 Working together, we achieved: a feeling of context – spas and clinics; a seamless experience with product and procedure; an icon-based interface with simple displays that were easy for the clinician to see; ease of use for the operator through a lighter, more ergonomic design; all with a reduced BOM Cost and assembly time. The new aesthetic of the machine is suited to a soothing spa environment. When in-use the machine recedes and the clinician is in the flow with the procedure.